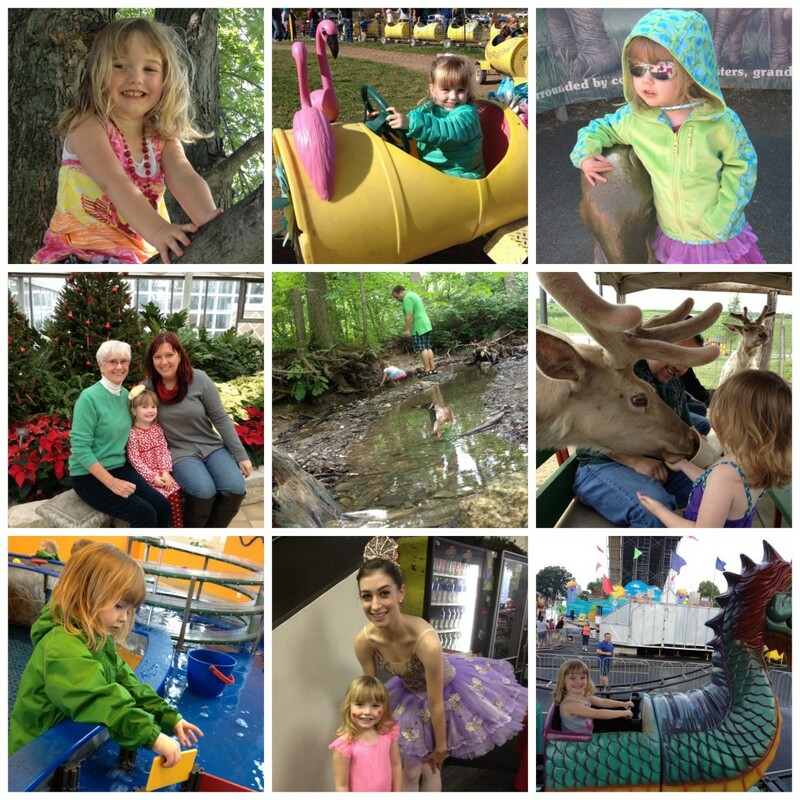 Zoe has had some tremendous milestones this year – weaning, turning four, transitioning to her own bed in her own room across the hall from us, experiencing her first slumber party two floors away from us – that’s all really big, cool stuff! She is not a kid who asks for a lot but this year we wanted to give her something special to celebrate some of these milestones, especially what we view as the biggest – transitioning from cosleeping to sleeping on her own. So, I offered to get her ears pierced but she declined – she sensibly decided that although she would very much like the jewelry aspect, she is opting out from the pain factor. Instead, she asked for “pink and purple hair streaks.” I’m not sure how she first got the idea in her head, but I couldn’t think of a reason why not. After all, she has proven she’s a pretty big girl this year and earned them! So I talked to one of my stylists (I have two and I adore them both – is that fancy and decadent or what?!) 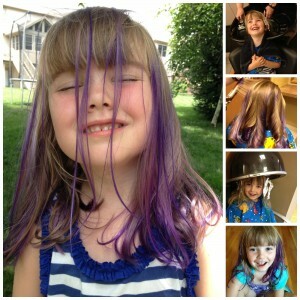 and Charis said she’d love to do temporary, vivid color streaks in Zoe’s hair. So, we set up the appointment! When the day came, Zoe was beside herself with excitement. She had been through a princess makeover at Disneyland so she had an idea of what to expect – and I can honestly say she enjoyed her standard Kenneth’s salon treatment about as much as the Bibbidi Bobbidi Boutique magic! She had many firsts during this visit: first time getting her hair washed in a salon chair, first time picking out hair dye colors, first time having tinfoil put in her hair (oh, the giggles!) and first time sitting under a fancy salon hot air dryer. It was quite a fun trip for both of us, and I took tons of pics and video. Finally the big reveal – it was time to see how the color had taken in her gorgeous, soft, princess-blonde locks. My first reaction was WOW, that’s a lot of purple! The Pravana dye was so vibrant that during the shampooing, the hair surrounding the intentional colored streaks had picked up some purple too – so she had a LOT more all-over purple than I had expected. 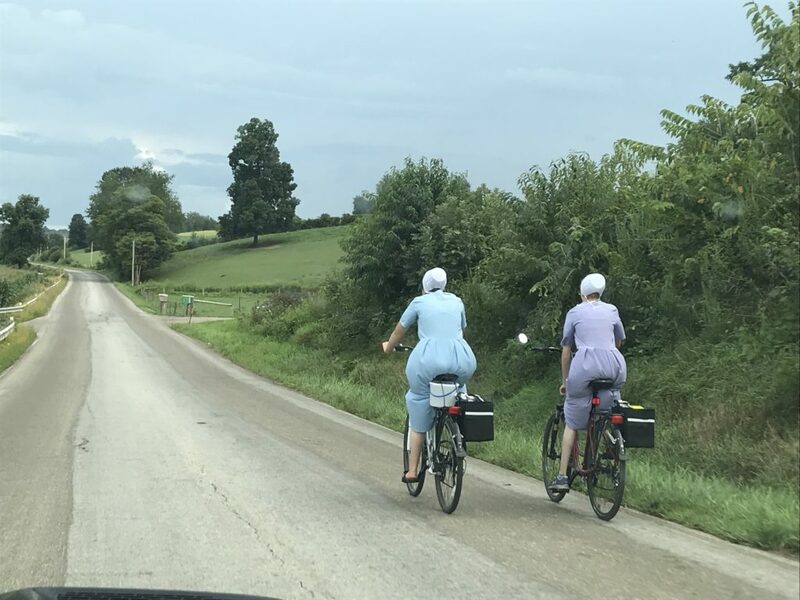 I had to gulp, wondering what her grandmothers – and others – would think! But oh, once her gleaming violet tresses were dry and she got a good look at herself and I saw her beaming smile, I knew it was the right thing to do. My stylist said it lasts about two to three weeks in her daughter’s hair, and I felt good about that. 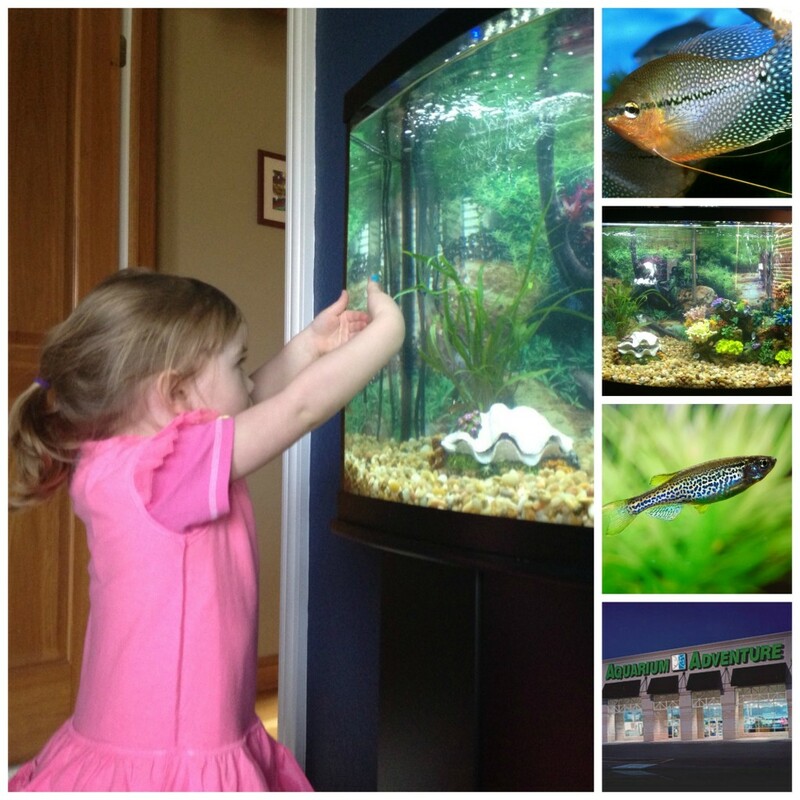 Zoe absolutely loved it! We enjoyed the rest of that day with Z’s gorgeous, vibrant, shiny purple tresses – but then Sunday dawned hot and humid so we headed to the pool. Little did I know that would be the death knell of her gorgeous pink and purple streaks. One dip in the pool and most of the color was gone (granted, a several hours-long dip, but still). I was sad and let my stylist know, and the salon graciously agreed to refund our money. Z was disappointed but not devastated – she handled it like the big girl she is. And that’s when I knew I had to research another option for some fun, less pricey, temporary colorful hair-streaks that we can do ourselves at home. After some online research, I landed on Edge Hair Chalks, just $18 from Amazon.com and available in a nice set of metallic, bright colors. 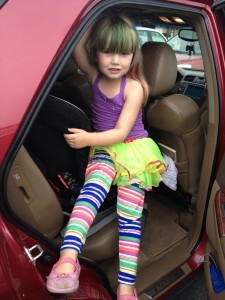 My other fabulous stylist had recommended hair chalks as an option initially, so I knew this would be another good way to achieve the rainbow hair of Zoebelle’s dreams. 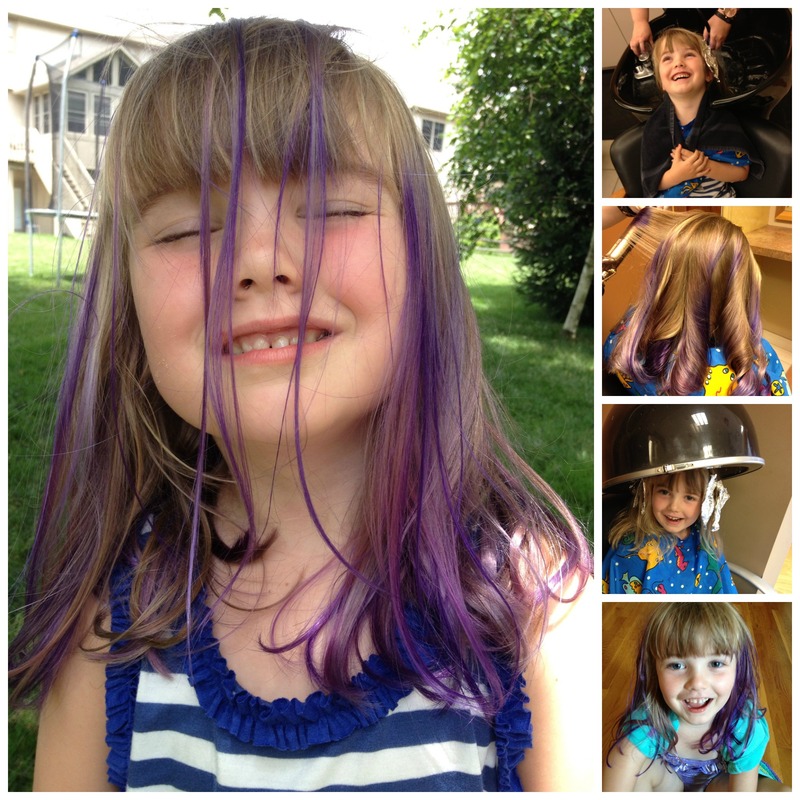 We tried it this weekend and sure enough – hair chalks are a blast! They last until one good shampoo, which is exactly what I was hoping for this time around. We can have crazy rainbow hair all weekend, then head back to school looking normal again – what could be better? I only wish they’d show up a bit better in my naturally darker hair. They are ideal for blondes – and while they’re supposedly useable on any hair color, I just don’t get the same results on mine as Z can with her golden locks. So, there you have it – skip the pricey salon treatment (as fun as it was!) and go with hair chalks which are reusable and will give us tons of fun, colorful hair makeovers to come. The results, at least on blonde hair, are pretty good. I wish I had some better photos of Zoe’s hair chalked style this weekend, but I’ll be sure to take some next time we do it. Now, if only we could convince Zoe’s blonde daddy to let us chalk up his spiky ‘do! What do you think – have you tried hair chalks, or will you consider trying them now? I’d love to hear in the comments below.